Fruit tarts are very easy to make and can vary as the seasons change. Mix in your favorite fruits to make different tarts year round! The whole wheat crust adds a crunchy texture and extra fiber to any fruit tart. An addition of chocolate is just what it needs. Get your daily servings of fresh fruit by eating these yummy snacks. Roll out the dough as instructed in the recipe and place in a 10-inch tart pan with a removable bottom, pressing into the fluted rim. Trim any excess, then set in the freezer while you prepare the filling. In a food processor, puree the cream cheese, lemon zest, 1 tablespoon of the lemon juice, the sugar substitute, and egg substitute until smooth. Spread evenly over the prepared tart shell. Add 2 tablespoons of the lemon juice to a bowl of water. Peel and core the pears, placing the peeled fruit in the water to prevent browning. Thinly slice the pears. Form two concentric circles of the pear slices, overlapping slightly, on top of the cream cheese mixture. Sprinkle with the sugar and remaining ½ tablespoon lemon juice. Bake for 20 to 25 minutes, until the crust browns, the filling is set and the pear slices are tender. Cool, and just before serving top with shaved chocolate. Serve chilled or at room temperature. 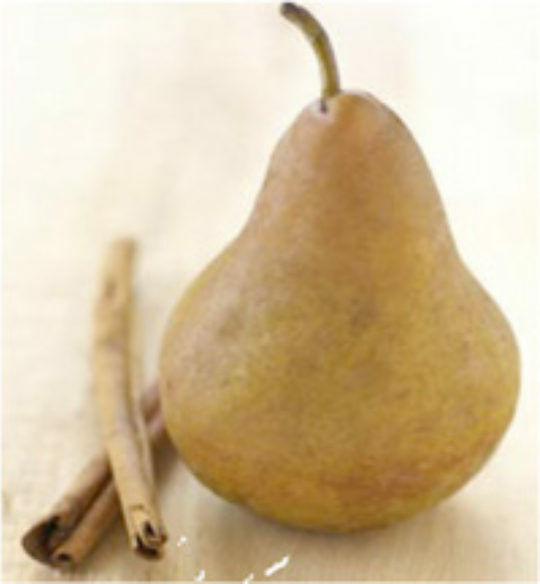 Baker’s Tips: Use pears that are still semi-firm to ensure they keep their shape when thinly sliced. You’ll need shaved semisweet chocolate, but if you don’t want to use chocolate, melt ½ cup sugar-free jam or preserves with 1 tablespoon fresh lemon juice and 2 tablespoons sugar substitute. Simmer until the mixture begins to thicken and brush over the fruit to add shine and great taste.